Kevin Bacon suited the part. Elephant White is a B Grade movie. But does that necessarily mean it's bad? NO it doesn't! Djimon Hounsou really impressed me - or should I say, his character did. I get really sick of movies where the hero only disables bad guys so that, after a remarkably fast recovery, they come back to give him more aggravation. Not so Curtie. He is a professional killer who eliminated low-lives very effectively and permanently! Of course, as is so typical with films like this, the bad guys are always terrible shots and probably couldn't hit a barn door at ten paces which is always annoying. 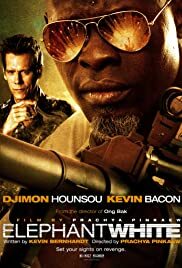 Nevertheless, in this movie Curtie (Djimon) does get hit. Fortunately, of course, it wasn't fatal but it certainly gave the film a bit more credibility. 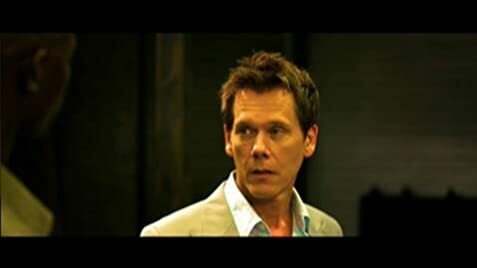 Kevin Bacon really suited playing an Englishman. I have never been much of a KB fan but, for some reason that I can't pinpoint, as a "pom" he was excellent. Someone else (an American) has written that Kevin's English accent was terrible and I would like to ask him how he knows. Kevin's English accent was great and really suited the part! Jason Statham eat your heart out!! Since I didn't read the IMDb page about this movie, I didn't know that there was a fantasy element - which may or may not have been a good thing depending how you look at it. So when some weird things started happening I was quite taken by surprise. I'm not sure that the film actually needed that either. Viewers should also bear in mind that this is a Thai film. The director Pracha Pinkaew is Thai and had six previous exploits as a director (half of those with Thai titles) and so they should remember that cultural differences are bound to be evident. He is obviously respected among his peers enough to have been elected president of the Thai Film Directors' Association. So watch Elephant White with an open mind and enjoy it for what it is. The messages at the beginning of the end credits make it obvious that a statement was being made as well as presented in an entertaining manner. And next time you go to Thailand for a holiday, just think about it.